I mean, it isn’t every day that you have the supporting characters from Jake and the Never Land Pirates as inspiration. Of course, this year we were lucky and they actually had party supplies. 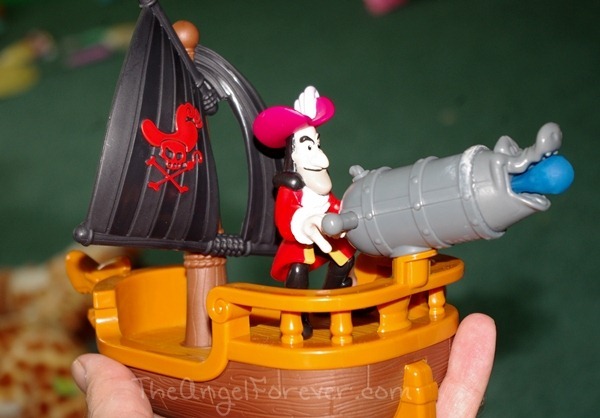 Bubbe and Grandpa found additional items near them and made the scene perfect for our little buccaneer. JSL asked for one item to be a repeat from last year. 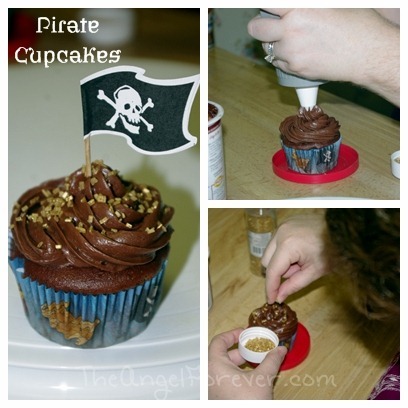 He wanted the same pirate cupcakes that I made. I agreed to do this and brought my supplies to finish decorating before everyone arrived. 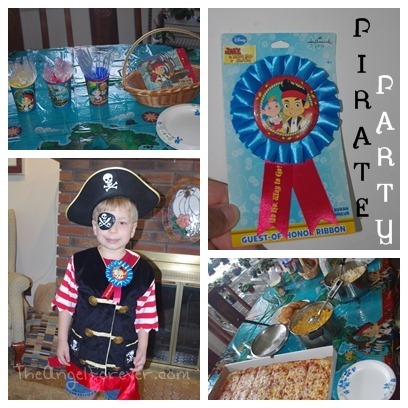 Once everyone was done eating, we pulled out some pirate crafts to keep the kids busy. 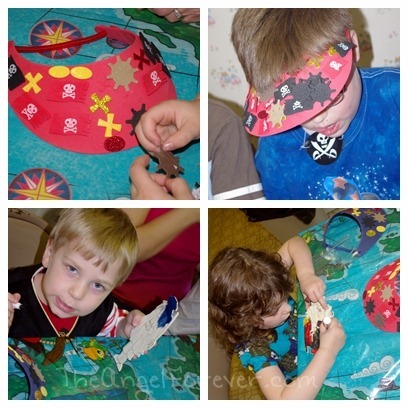 First, they made pirate hats and then colored some Jack Sparrow-esque looking pirates. While the kids played, it was time to set up the table for cupcakes, fruit, and other goodies. 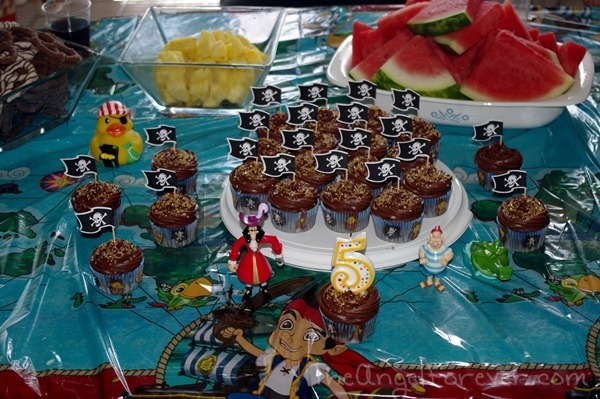 We had to make sure that the pirates were ready to guard the cupcakes before we called everyone over. 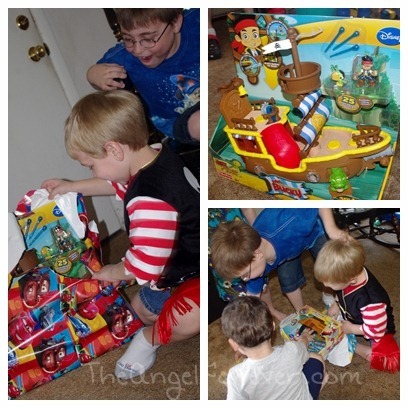 Then, it was time for the birthday pirate to open his presents. He got a lot of booty and really enjoyed everything from all of the family that came. I think you will see there was a mini pattern here. 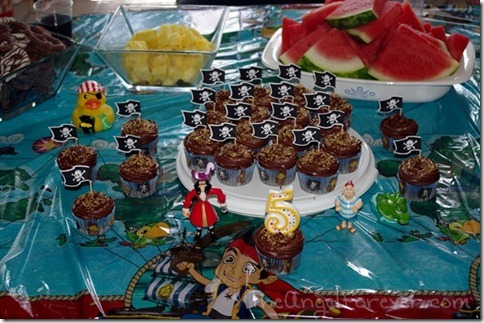 Lots more to share, but we need to decompress after our pirate party fun. Right now, I am likely off battling the sneaky guy below. Of course, Captain Hook stands no chance thanks to Jake, Izzy, Cubby, and Scully now living with us. JSL will have a fantastic time using Bucky with his new friends to battle the sneaky pirate. We have a good chance of doing well don’t you think?